First open house ever! 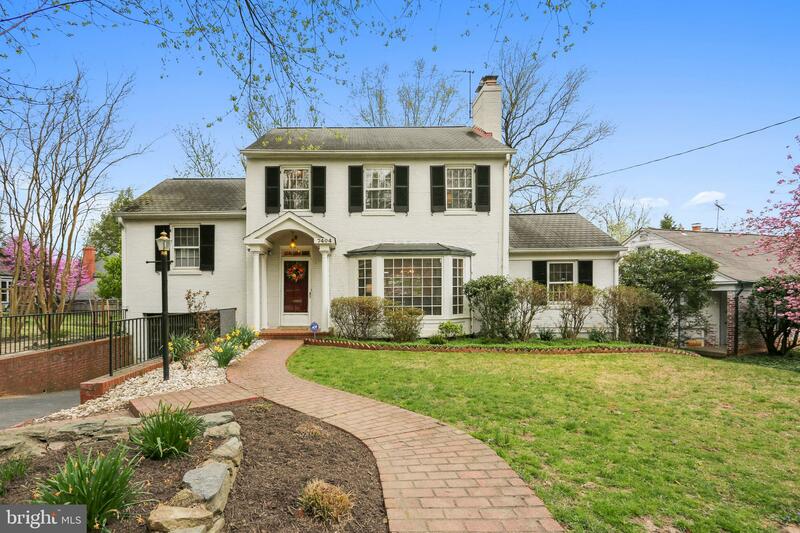 Come see what how charming it is to live the Chevy Chase life in this quaint established neighborhood just steps from parks, shops and entertainment not to mention our nation's capital. Charming mid century all brick colonial within walking distance to Rock Creek park and Meadowbrook Farm. Big windows let in plenty of light in the formal living room which is enhanced with a wood burning fireplace. This home offers hardwood floors all through out the top 3 levels. The cozy office with built-in shelves on the main level leads to the deck overlooking the fully, privacy fenced, open and mostly level backyard. This multi-level design creates privacy and separation on the bedroom levels. The lower, walk-out level, has a large gathering room with a wood burning fireplace and a 3rd full bath. There are many windows in the lower finished level that bring in natural light and allow for pleasant gatherings all year round. The one car garage allows for direct access to the rear yard and the kitchen's back entrance. All of this character and charm just a 3 minute walk from Rock Creek park and the dog park. Get into DC directly with no traffic lights to stop you. Established neighborhood with lots of trees, quiet streets, park access close at hand and DC just next door. Chevy Chase living is truly a step back in time elevated by the premium location to a one of kind lifestyle experience.